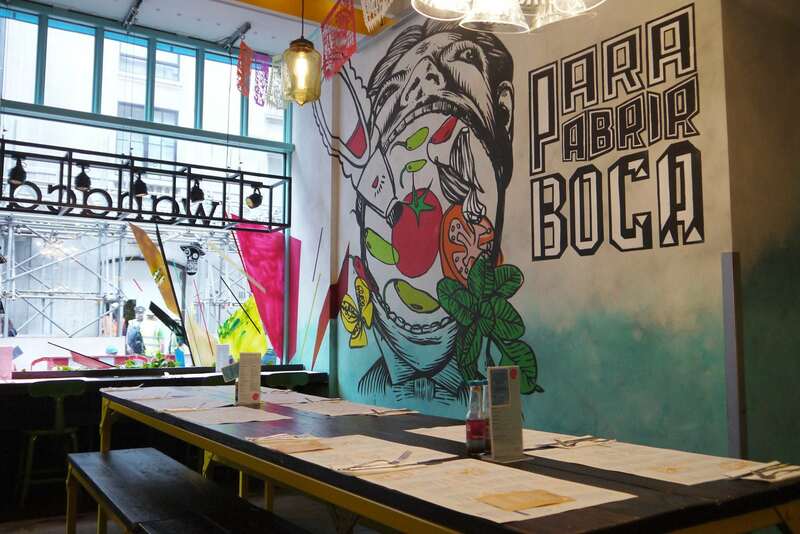 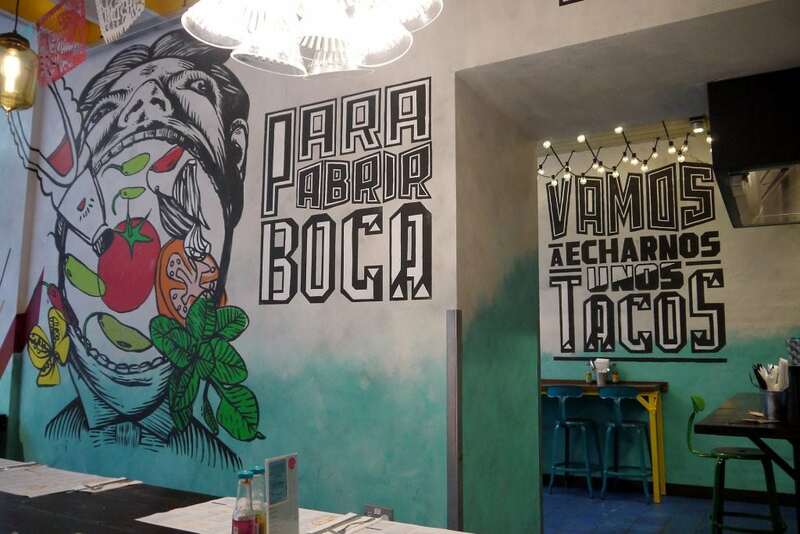 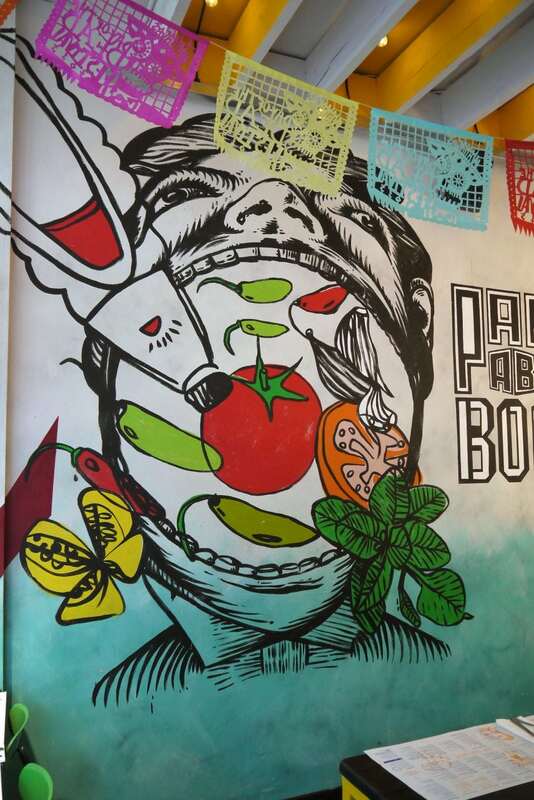 Mexican street food maestros Wahaca commissioned Soulful Creative to paint three large murals for their newly refurbished flagship Wardour Street restaurant in the heart of London’s Soho. 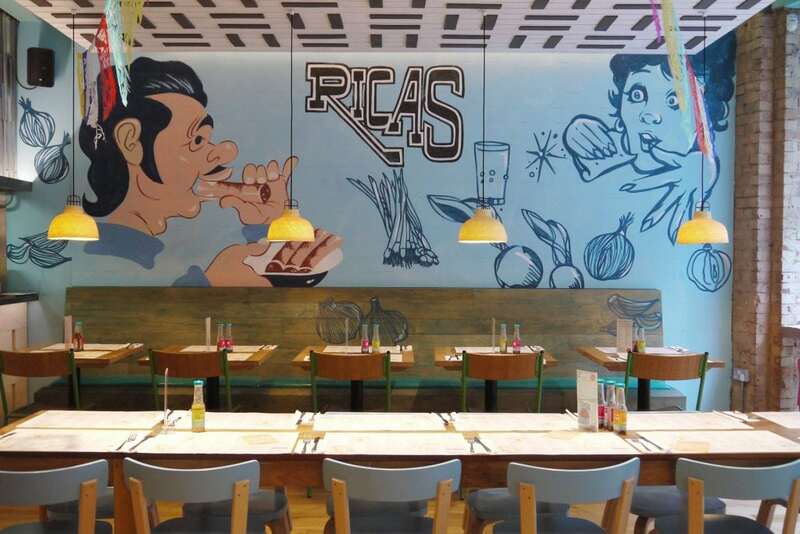 Working from illustrations created by Mexican artists, the hand painted murals had to be recreated with an authentic look and feel. 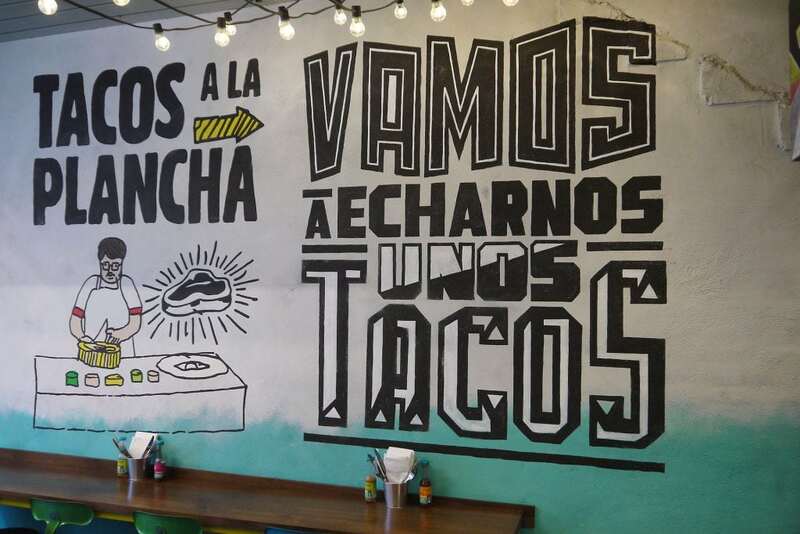 To achieve the desired result, we painted the walls to look rough and rugged before the murals were added on top. 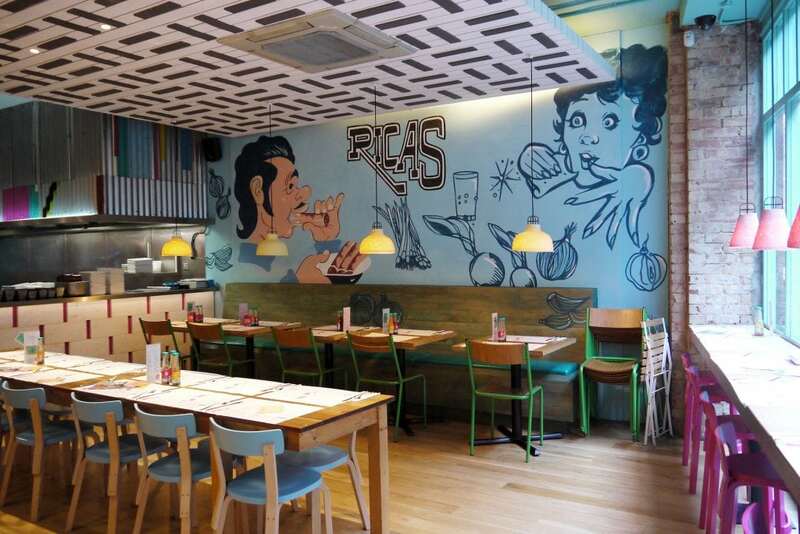 These were then aged to get the desired authentic result the client was looking for.